Automation in manufacturing processes is fundamental in keeping up with world-wide-demand for goods and services and it is a rising challenging demand for manufacturers to produce faster, cheaper, and better. Today, the manufacturing processes often consist of a mix of loosely-coupled systems that are often stand-alone systems specialized to control certain parts of the process. For instance, manufacturing robot systems often come with their own complex management software; integration with an ERP system and/or other manufacturing software component can be a major undertaking. Often, there is the need to duplicate master-data between, for instance, the ERP system and the robotics control software, because of the way those systems are designed. This can lead to major problems especially in today’s environment, where the pace of changes are no longer measured in weeks and months but rather in hours, minutes, and sometimes seconds. For that reason, it is important to view the entirety of the business process in which manufacturing is a part, and provide all necessary functionality to provide a seamless, flexible and highly adaptive process planning at all levels from business to manufacturing process level. 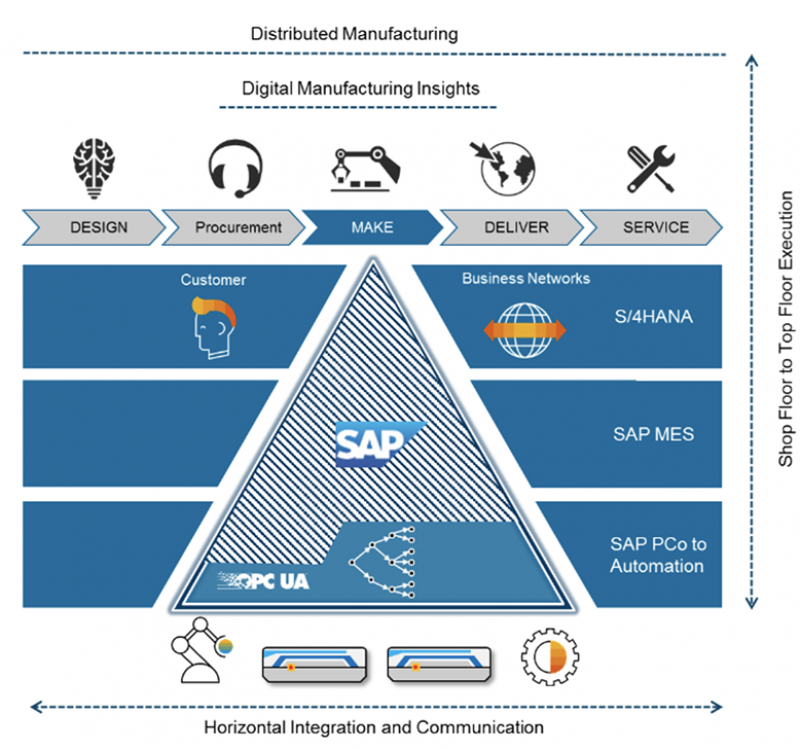 Manufacturing execution system, like SAP MES, provide the middle-layer that connects ERP with the manufacturing control layer. This integration of business and manufacturing is it what enables “extreme manufacturing”, with highly dynamic software, extreme software development/generation patterns combined with manufacturing and fabrication networks. This approach promises to be the right direction towards an on-demand manufacturing industry. What are challenges and lessons learned in end-to-end automation? What are challenges that software companies foresee in developing apps with robots? The manufacturing infrastructure, independent of company size, needs to tackle all sort of production challenges, from the source of supply to demand forecast, provide alternatives, predict and keep a birds-eye-view on all processes at all time. Figure 1 illustrates how SAP tackles the integration of the manufacturing hardware into the overall business process that include all aspects covered by the ERP system as well as the hardware manufacturing process. 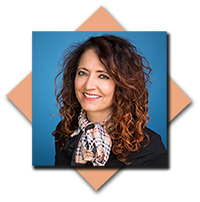 Dr. Asuman Sünbül is a seasoned Silicon-Valley-based IT professional with 20+ years of experience in business and academic positions as Chief Software Architect and Executive Business Lead. With SAP for 13 years, Asuman has held various positions. She is currently working at SAP Lab’s Startup Accelerator Program in Palo Alto. She is responsible for Customer Innovation for SAP’s Digital Supply Chain Management /Logistic, SAP Manufacturing & Automated Warehouse Management Solutions through robotics, AI and other cutting-edge technologies. Prior to this role, she worked for 7 years as Executive Director in SAP’s CTO office, she held a Guest Professor position at the University of Potsdam, Germany. Asuman worked as Chief Architect for DARPA NEST Technology for Kestrel Institute, Palo Alto. Asuman has a PhD in Computer Science from the Technical University Berlin, and wrote her master thesis at ICSI/UC Berkeley. Additionally, she is (co-)author of frequent publications and holds numerous patents. She is a regular keynote speaker at large renowned conferences; and is the recipient of many innovation awards from industry and academia. Asuman, in addition to being a passionate researcher and IT professional, is fluent in German, Turkish, English, and French.